Includes Mango Peach, Ginger Pear, and Raspberry Nectar Iced Tea flavors Tea Forté is a luxury tea company known around the world for their high quality handcrafted teas and distinctive pyramidal tea bags. 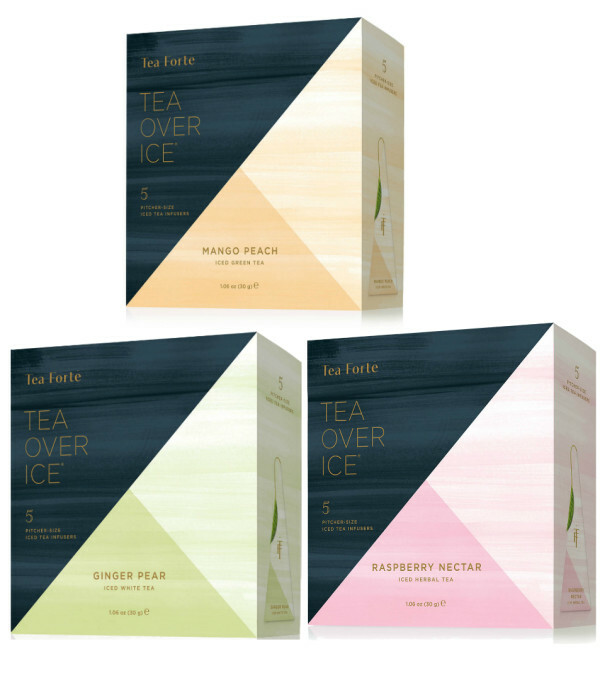 Dubbed “The Lamborghini of tea bags” by Bloomburg Business Week, Tea Forté commissioned us to bring a fresh perspective to their iced tea product line. We redesigned the packaging for their iced tea blends and tea brewing pitchers, resulting in a packaging system as luxurious as the products inside.